Editor's Note: On Nov. 15, 2018, the Burlington County Prosecutor's Office announced that the three central figures in this story had been arrested and charged with second-degree theft by deception and other offenses. Prosecutors concluded that their dramatic tale of rescue and redemption had been "completely made up." Story detailing the findings can be found here. 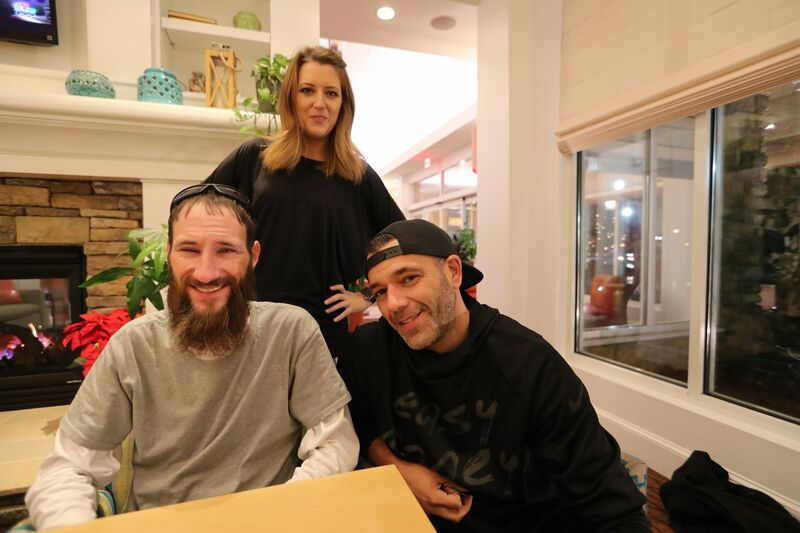 Lawyers for Johnny Bobbitt took legal action Tuesday to stop a Burlington County couple from using what remains from a $400,000 fund-raising campaign they created to help the homeless man get back on his feet. The move comes after Bobbitt told an Inquirer and Daily News reporter that he was concerned that Mark D'Amico, 39, and Kate McClure, 28, may have mismanaged a large amount of the donations over the last 10 months, and refused to show him financial records. Documents filed in Superior Court in Mount Holly with the lawsuit seeking an injunction and monetary relief contend the couple committed fraud and conspiracy by taking for their personal use a "substantial portions of the money raised," instead of putting the funds toward getting Bobbitt off the streets, as the GoFundMe page stated. The request for an injunction also alleges that D'Amico and McClure deposited the money into personal accounts, and denied Bobbitt access to the donations. The filing also seeks compensatory damages and interest and counsel fees, and that a "guardian ad litem" be appointed for Bobbitt. Such a person investigates what would be in the best interests for a minor child or an incapacitated adult who cannot represent his or her own interests. McClure and D'Amico "conspired to utilize [Bobbitt's] money to enjoy a lifestyle that they could not afford. Defendants admitted to commingling the funds raised for [Bobbitt] in their own personal accounts and have denied [Bobbitt] access to the account," according to the court filing. The documents also allege that D'Amico and McClure have considered the "GoFundMe account as their personal piggy bank." In an interview this month with the Inquirer and Daily News, Bobbitt questioned how the couple paid for a recently acquired BMW and vacations to Las Vegas and Florida. Christopher C. Fallon, one of Bobbitt's lawyers, said the legal action was taken after D'Amico ignored multiple requests for a full accounting of the money raised by the GoFundMe campaign. "He's really left us with no choice but to go forward," said Fallon, one of two pro bono lawyers from Cozen O'Connor in Philadelphia whom Bobbitt retained last week. This photo taken Aug. 15, 2018, shows Johnny Bobbitt Jr., the homeless veteran who gave $20 for gas for Kate McClure, back on the streets. A judge is scheduled to hear the case on Thursday, court spokeswoman Donna Mazzanti said. Messages left for McClure and D'Amico seeking comment on the legal action were not immediately returned. The couple have said they have not used the donations for their personal use. McClure and D'Amico started the GoFundMe campaign last fall after a stranded McClure ran out of gas near I-95 in Kensington, where Bobbitt was panhandling under a ramp. Bobbitt used his last $20 to help McClure, who then started the fund-raising effort. The feel-good story grabbed worldwide attention, but the couple's relationship with Bobbitt soon soured. After funds poured into the GoFundMe account last fall from 14,000 donors, the couple bought Bobbitt a camper and parked it on land McClure's family owns in Florence. The couple said in recent interviews with the Inquirer and Daily News and NBC's Megyn Kelly that they were wary of giving Bobbitt large sums because they feared he would buy drugs. D'Amico said Bobbitt spent $25,000 in less than two weeks in December on drugs, in addition to paying overdue legal bills and sending money to his family. He told Kelly "every dollar [Bobbitt] ever touched was used for drugs." In April, D'Amico told an Inquirer and Daily News reporter that the remaining GoFundMe money had been put into two trusts for Bobbitt. But last week, D'Amico told the reporter the trusts were never created. D'Amico had agreed to meet with the Cozen O'Connor attorneys on Monday, but canceled the meeting before appearing on national television to tell his side of the story on Megyn Kelly Today. On Monday, D'Amico told Kelly there was well over $150,000 left of the donations. The week before, he told the Inquirer and Daily News that roughly $200,000 remained. Bobbitt became homeless again after D'Amico told him in June that he had to leave the Florence property. "We're filing an injunction to enjoin them from doing anything with the money other than delivering it to us or paying Johnny Bobbitt," Fallon said. "We're happy to help Johnny and help see that the generous donations of 14,000 people are honored."